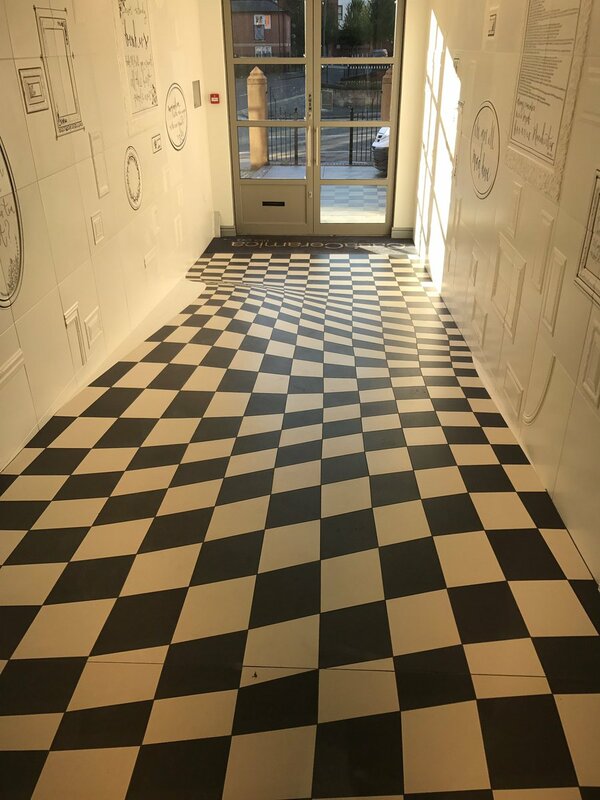 Look carefully at this floor. There’s a big hole in it isn’t there? 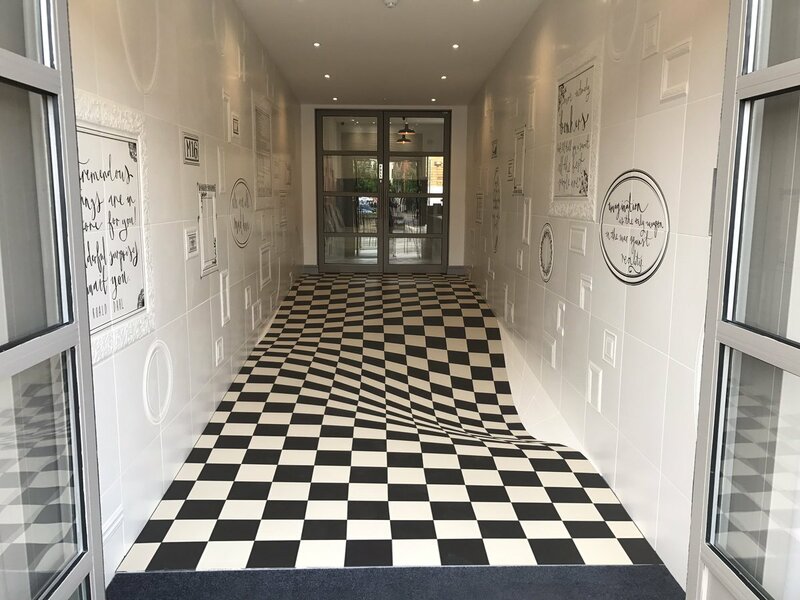 Nope, it’s actually perfectly flat and was designed to stop you running down the hallway of a showroom for Casa Ceramica, a tile company from Manchester, UK. 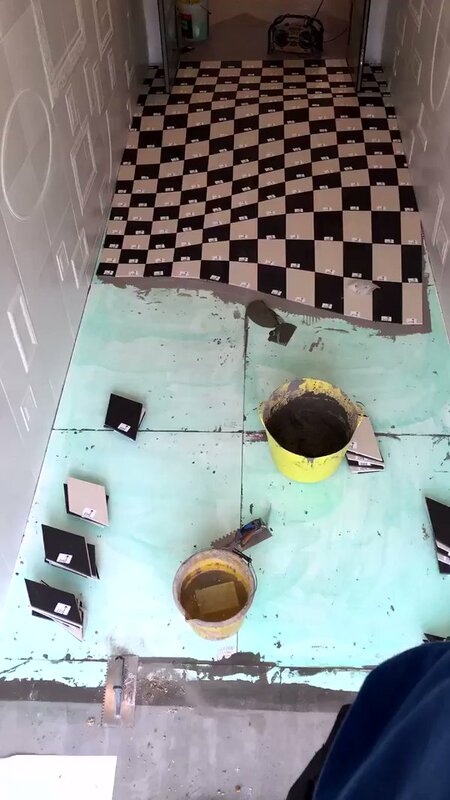 Duncan Cook, the owner of Casa Ceramica posted a videos of himself first ‘navigating’ the floor, followed by a demonstration of it all being actually in your mind, walking straight over the ‘hole’ and finishing with a neat dab. 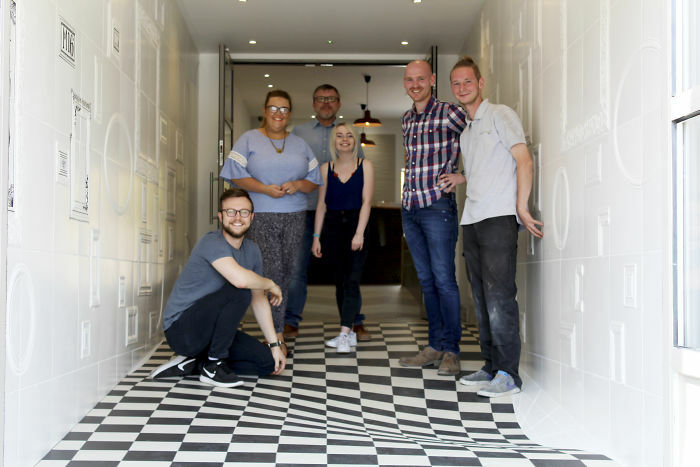 A representative of the company said that “the inspiration was to create an entrance themed on illusions and exceed expectations of how tiles can be used.” While it may give you vertigo on the way in to the showroom, the illusion only works in one direction so you’ll be perfectly safe on the way out. Looks amazing, isn’t it?